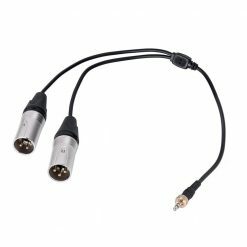 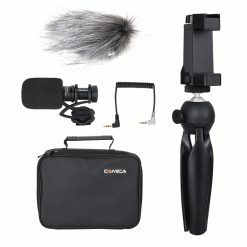 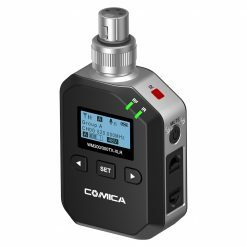 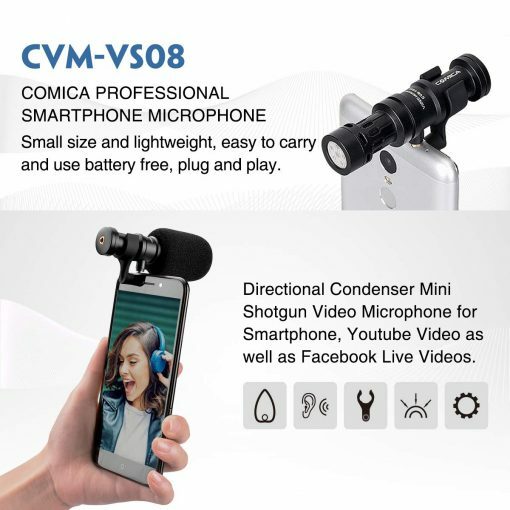 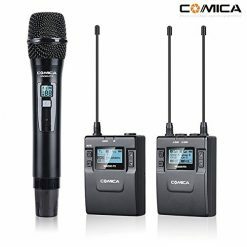 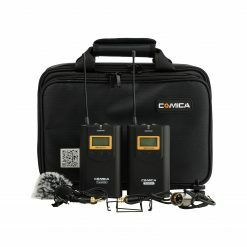 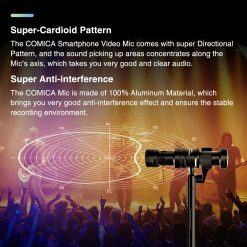 The CVM-VS08 from Comica is a compact, shotgun microphone, that plugs directly into the headphone jack of a smartphone, or using the Apple Lightning to 3.5mm headphone jack adapter (available separately), into the Lightning port of an iOS device. 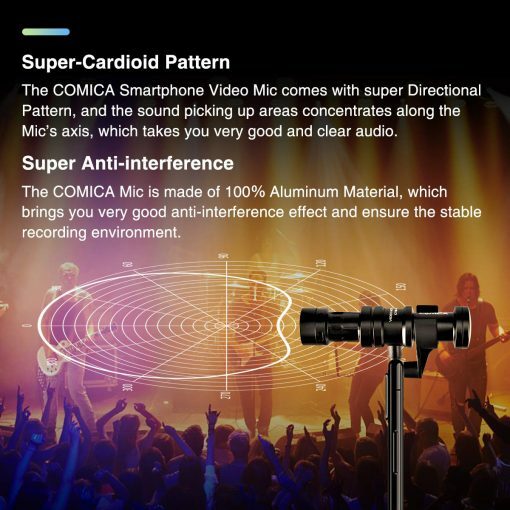 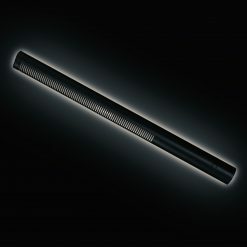 It features a super-cardioid polar pattern, which concentrates the sound coming from the target source in front of the mic while reducing unwanted sounds from the back and sides. 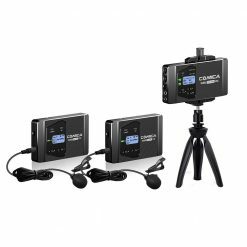 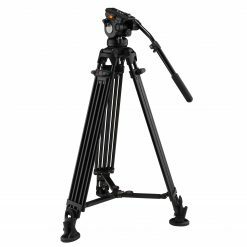 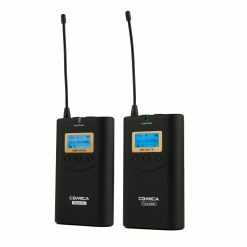 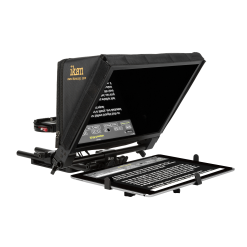 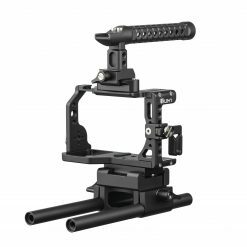 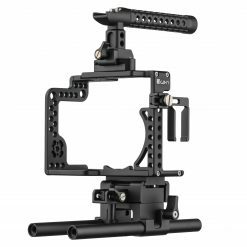 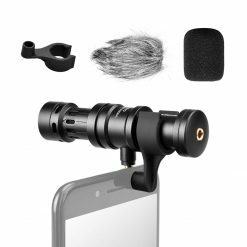 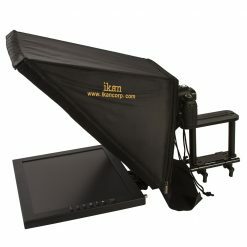 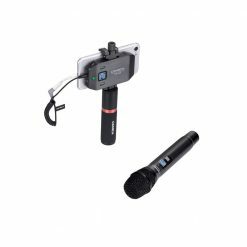 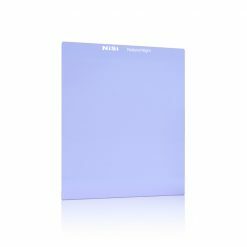 With its flexible mounting system, the microphone easily mounts on a wide range of mobile devices and is ideal for capturing high-quality speech and ambient sounds for interviews, podcasts, videos, and more. 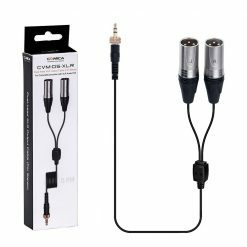 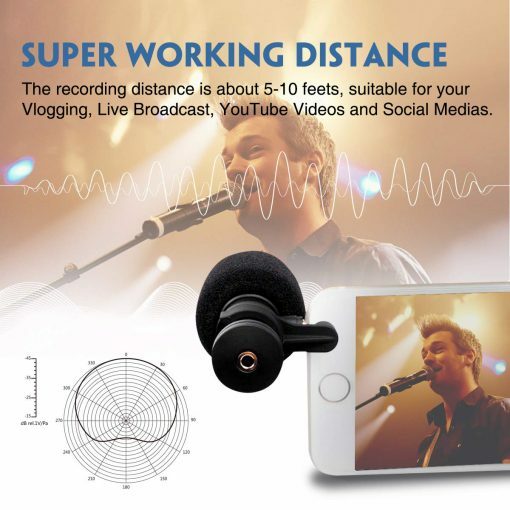 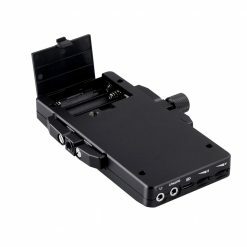 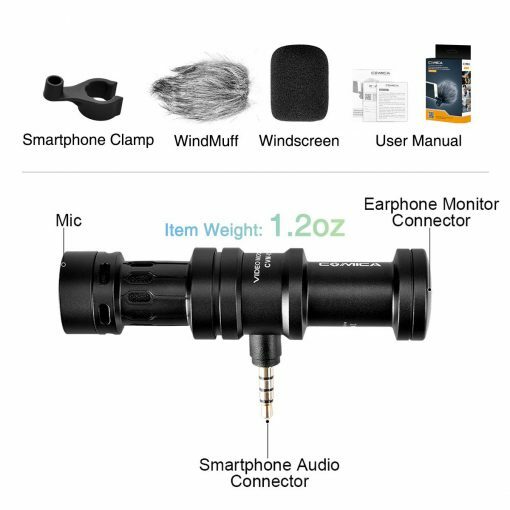 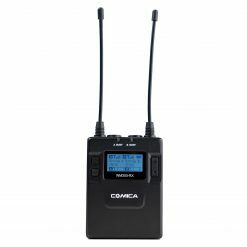 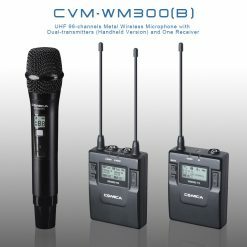 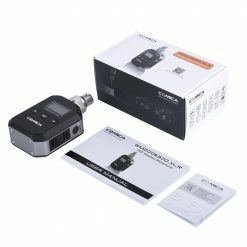 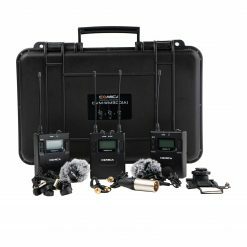 The CVM-VS08 features a 1/8″ (3.5mm) headphone jack on the rear, that allows you to plug headphones for monitoring audio while recording (app dependent) or conveniently listening to your videos without having to remove the mic. 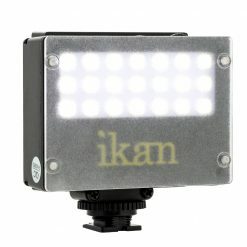 Vlogging – Shoot great video with excellent sound quality for your blog and turn it into a vlog. YouTube Videos – For new YouTubers looking to create better quality videos without investing hundreds or thousands of dollars in equipment. 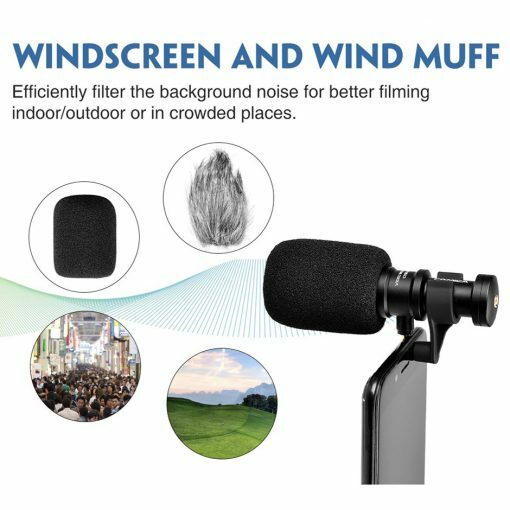 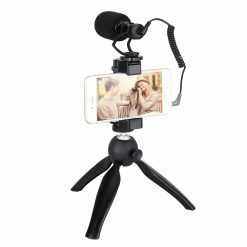 Home Videos – You can add this microphone to your smartphone and capture your children doing all kinds of things on video. 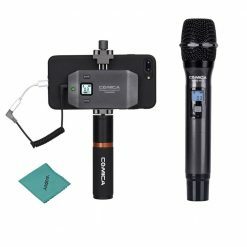 Social Media – With Instagram, Twitter, Facebook and other social platforms thriving on video these days, you never worry about the quality of the sound again.